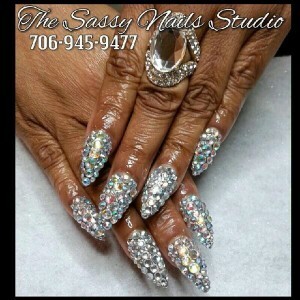 Posted by SeriouslyNails in Akzentz, CND, Las Vegas Nails, Nail Art, Where the inspiration comes from! When two creatives get together, you sure can end up with some beautiful things! 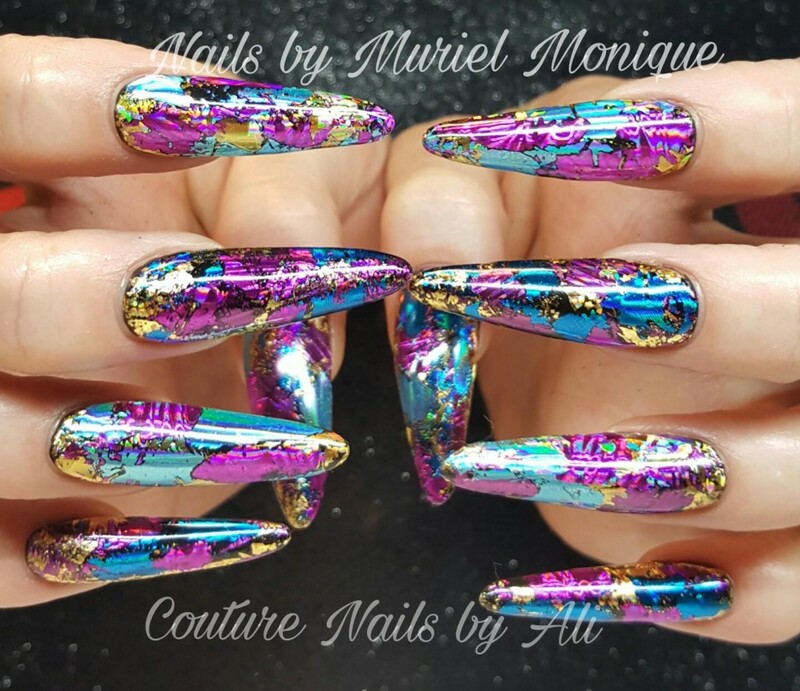 Here, Las Vegas nail techs, Muriel Monique used a technique taught to her by Ali from Couture Nails by Ali! and then used foil over Black Pool Shellac from CND! This is what you can get when you allow others in our field come and collaborate and elevate our industry. You can follow both Ali https://www.instagram.com/couturenailsbyali/ and Muriel https://www.instagram.com/nailsbymurielmonique/ on Instagram for more beautiful inspiration. For this Wednesday, I wanted to share these nails that I saw while at the High Road to Education! As seen in Las Vegas! 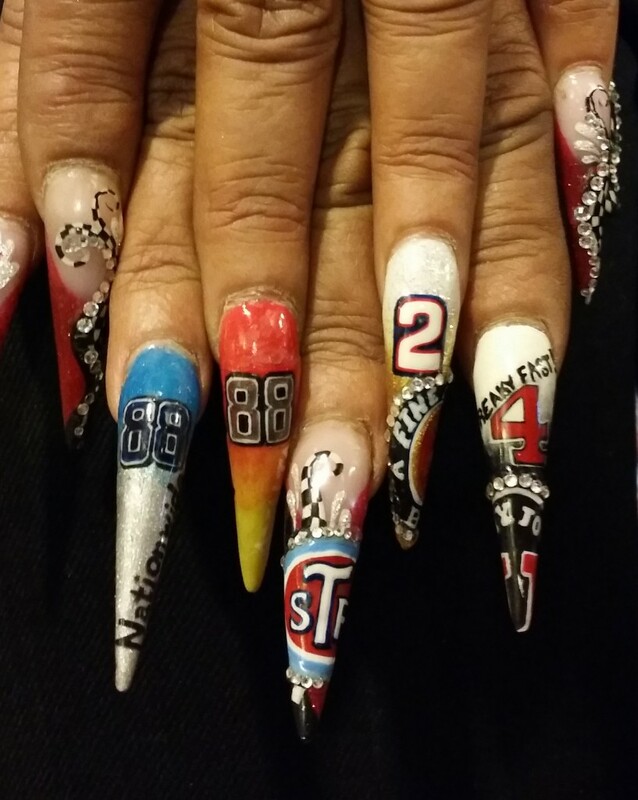 Some more Las Vegas Nails for this Wednesday edition of Seriously Nails! I saw these toes nails here in Las Vegas and they were stunning! Especially in the sunlight! 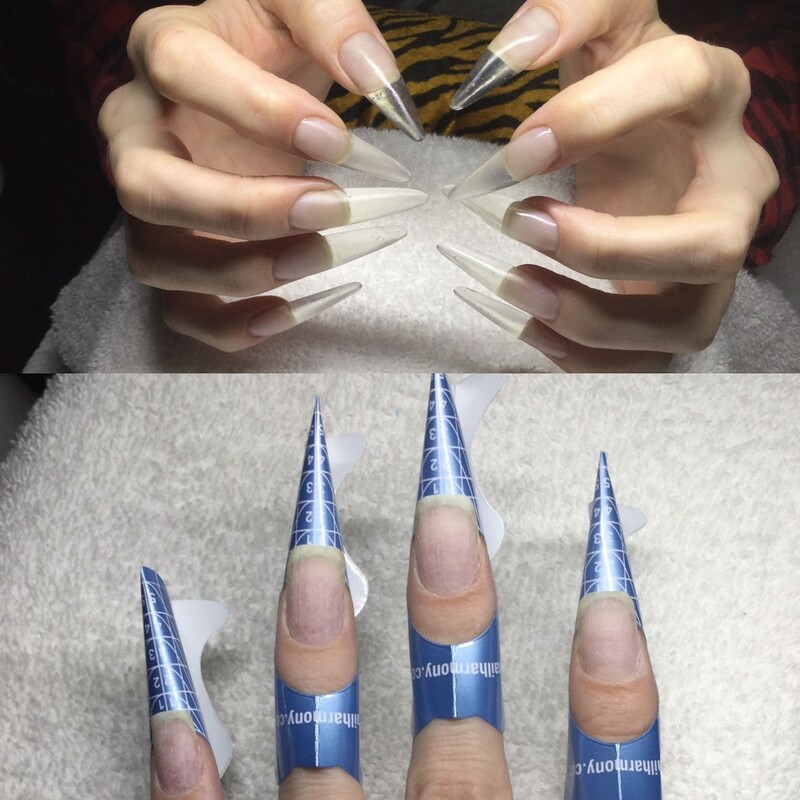 I was mildly shocked to find out they were actually press on nails. The “owner” said they last her quite a long time considering that that fact. I think that they are adorable and stylish, especially with those shoes! I have this great store that I enjoy stopping by for a couple of reasons. First, the store has great clothing. A little bling-y, a little county/western, and some edgy styles. But the reason I am writing this post is because when I stopped in today, the manager/buyer Darcie was wearing a lovely spring inspired nail art design. I really like the simplicity of the fade along with the fact that the color choice packs a PUNCH! I’m sorry that I don’t have further info on her nail stylist except that his name is Danny and he works at Pink Lotus here in Las Vegas! I hope you enjoy the Las Vegas Nails. 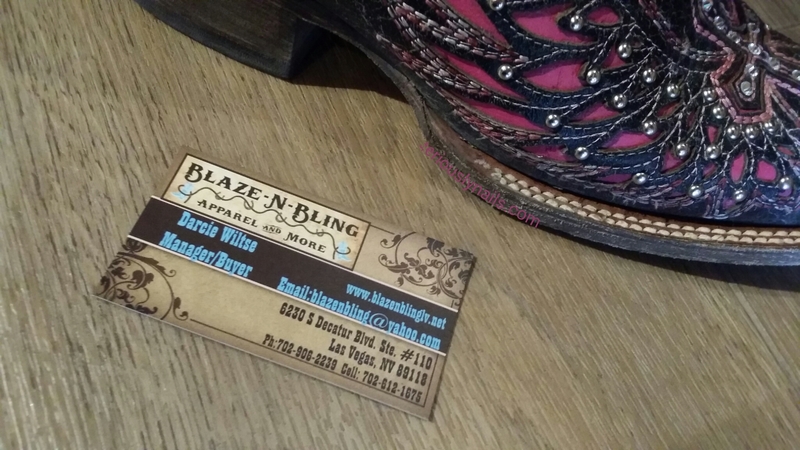 Take the time to visit Blaze and Bling….they are genuinely nice people there. I’m sure Darcie would give you more info on her nail stylist! 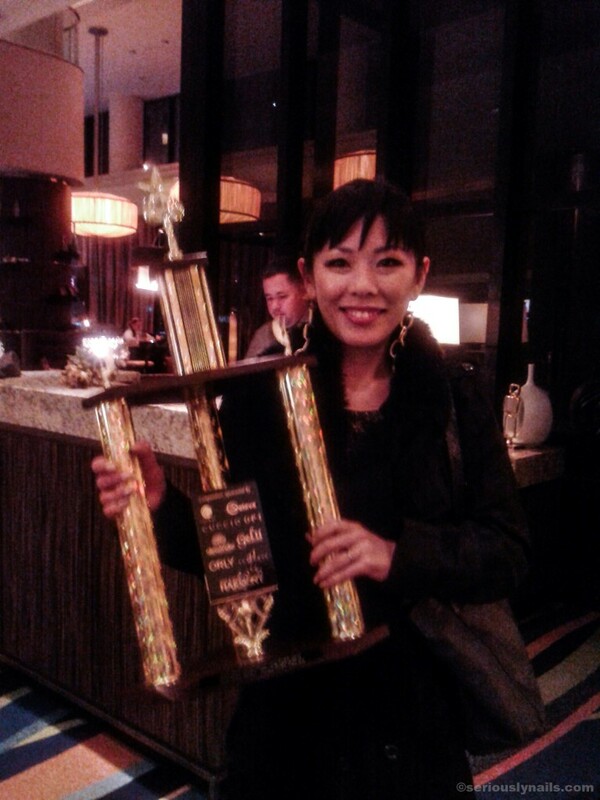 Some of you may remember that when I was in Long Beach for the ISSE show there I met Tomoko from Japan. She was there to enter her first nail competition (as well as her first visit to the the USA). Well, she was here at the IBS Las Vegas (I think she like America!) and I got to see some more of her amazingly talented art work. Here is a picture for you as well. I hope you enjoy. 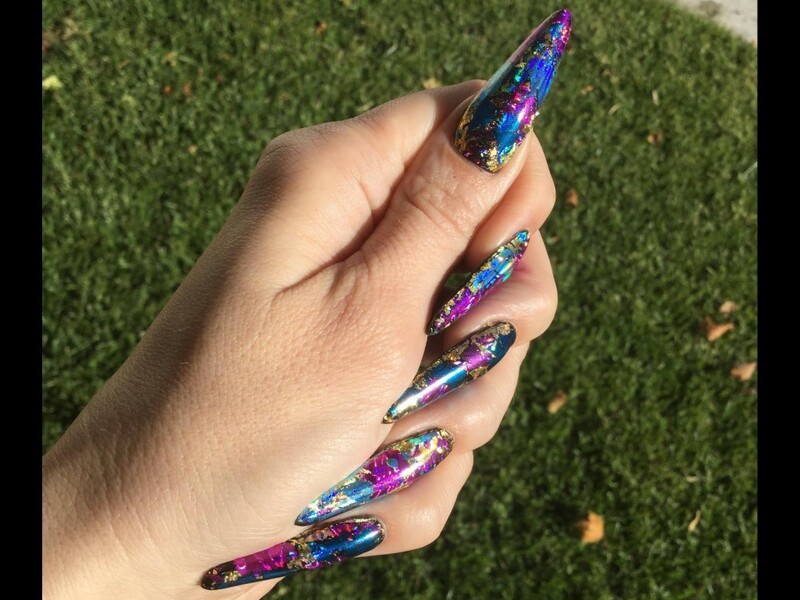 I actually saw these nails on Twitter the other day. Well, if those don’t scream LAS VEGAS, I don’t know what does!